Even before his new book was published, co-author Tavis Smiley was in talks with producer J.J. Abrams to develop the story into a TV miniseries. No wonder, given the book's fascinating subject matter: the final weeks of Michael Jackson's life, leading up to his death at age 50 in June 2009. Before You Judge Me, which Smiley wrote with David Ritz, is a novelistic attempt to get inside Jackson's mind as he prepared for "This Is It": a series of 50 shows at London's O2 Arena that the music icon said would be his final live performances. The stakes were high: Jackson hadn't toured in over a decade, during which time he'd gone through an increasingly bizarre roller coaster of events including a second marriage and resulting children (sparking speculation as to whether he was actually the father); an itinerant lifestyle living everywhere from a New Jersey neighborhood to the Irish countryside to Bahrain to Las Vegas; and, most damagingly, a second trial over renewed accusations of child molestation. Jackson's most significant artistic endeavor during that period was the release of the album Invincible, a critical flop and commercial disappointment (by Jackson's singular standards, that is, selling a mere ten million copies to date). Did the King of Pop still have it? Could he deliver in a live setting, over an arduous 50-show run? The shows were unquestionably weighing enormously on Jackson's mind. His expectations for himself were superhuman — he wanted to outdo Elvis, and he certainly wanted to outdo his rival Prince, whose record-setting 2007 run of 21 shows at the O2 helped inspire Jackson to agree to a residency that would best even the Purple One's. It wasn't just pride that motivated Jackson, though — in fact, it wasn't even mostly pride. With flagrant spending habits that outpaced even his enormous income, Jackson was in a financial bind. Having abandoned the controversial Neverland, he sought to buy a new home in Las Vegas for himself and his children, and he had a mountain of debt to erase. Like Elvis before him — and, eerily, like Prince after him — Jackson developed an ultimately fatal dependency on prescription painkillers. As Smiley and Ritz note, as he prepared for the This Is It shows, Jackson would often double-dip: visiting one doctor who worked on Jackson's face and gave him Demerol to help with the pain, then using another physician who gave him sedatives up to and including propofol, a powerful intravenous drug with a cloudy white appearance that inspired Jackson to refer to it as his "milk." Dr. Conrad Murray was convicted of involuntary manslaughter, serving two years in jail for his role in Jackson's death on June 25, 2009. Propofol, which standard procedure dictates should only be used under close supervision in a hospital setting, was only the last of a series of sedatives Murray allowed Jackson to take as night bled into morning less than a month before the sold-out O2 shows were scheduled to begin. 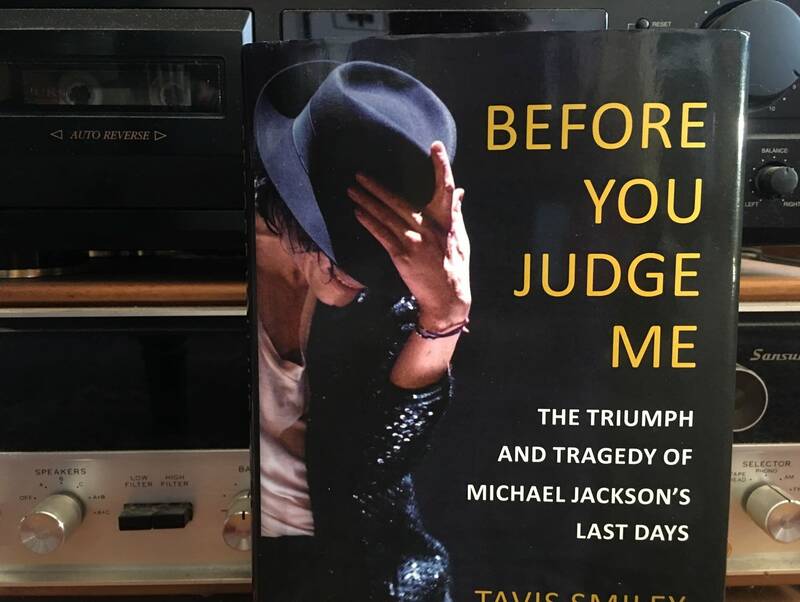 Before You Judge Me isn't a detailed account: there are others out there, including another new book that focuses closely on the precise circumstances surrounding Jackson's death. Smiley and Ritz, by contrast, have written a well-researched but often subjective book that tries to communicate what emotions might have been swirling through Jackson's mind in 2009. It's a highly sympathetic view, presenting Jackson as a committed artist with a probing intellect. The question of Jackson's sexuality is completely sidestepped: we read repeatedly that Jackson was a devoted parent, and there's little discussion of his intimate relationships with other children (or adults, for that matter). The book seems intended for readers like Smiley: those who mourn Jackson as an artist, and seek to understand how he could have died just when he was ready to stage what could have been one of the great comebacks in pop history. Before You Judge Me — its title taken from the lyrics for Jackson's 1995 song "Childhood" — reads almost as a meditation. The book's 26 short chapters drift through various themes and episodes in Jackson's life, many ending on a similar note: Jackson wanted to sleep. Get the picture? The effect of this structure is to argue that essentially everything in Jackson's life — his family, his business, his art — simultaneously gave him exhaustion and anxiety, leading Jackson to pursue ever-stronger medication to artificially induce the sleep he couldn't achieve through natural means. With the added twist of Jackson's persistent facial modifications — by the time of his death, his entire nose was a prosthesis — the story of Jackson's relationship to the medical establishment is highly reminiscent of Elvis, who was so deeply deluded that he fancied himself an anti-drug crusader. Jackson didn't try to get a DEA badge from Obama, but the beginning of this description, from Before You Judge Me, of his attitude could also have applied to that of the other King. Michael is not a street junkie. He is not a junkie at all. He is the patient of some of the world's most renowned physicians. His ongoing dermatological treatments are not indulgences. They are necessary. He cannot accept any plan other than one that allows him to retain the face of eternal youth. Though the structure of their book feels more than a little forced, Smiley and Katz are insightful regarding the conflicted swirl of emotions and associations that might have driven Jackson to seek sweet release. Jackson's death wasn't a suicide, but he was certainly looking for an escape. The man who was bitterly disappointed in Bad — the smash hit that sent fully half of its tracks to number one on the pop charts — because it didn't outsell Thriller had deep trepidations about the O2 shows, shows he was self-sabotaging by way of overmedication. Smiley told USA Today that if Jackson had made it to London, "I like to think he would have put on a great opening night," but that shows would likely have been canceled given the condition Jackson was in. Much of the apparatus erected for the tour was revived for a weird, poignant Cirque du Soleil tour, and footage from Jackson's better rehearsals was incorporated into the documentary This Is It — a film that showed Jackson was still capable of performing at a high level, when he could beat back the clouds threatening to overwhelm his body and mind. Smiley and Ritz call Colonel Parker "Machiavellian," which seems unduly harsh given how keenly Jackson suffered for not being able to put similar trust in a consistent manager. Rock history would certainly have wished for a more musically sensitive manager for Elvis — someone like Bruce Springsteen's longtime manager Jon Landau, who understands that fundamentally his client needs to be empowered to focus on his art — but Elvis's capitulation to Parker at least saved Presley's business affairs from the sheer chaos of Jackson's. To the very end, no one — very possibly including Jackson himself — really knew who held the keys to the kingdom, such as it was. Over the years, Jackson changed managers frequently, typically not bothering to fire one before hiring another; suspicious of everyone's motives, he didn't know who he could trust, and the most dubious claimants to his confidence were the would-be stalwarts in his immediate family. By summer 2009, just about all anyone could be sure of regarding Michael Jackson was that he was, after all, Michael Jackson. Then, suddenly, he wasn't. The Current's Rock and Roll Book Club: Rob Sheffield's 'On Bowie' Mary Lucia reviews 'On Bowie,' a tribute Rob Sheffield was asked to write in just a month. The Current's Rock and Roll Book Club: Dave Stewart's 'Sweet Dreams Are Made of This' Daniel Nass reviews the new memoir from Dave Stewart of Eurythmics -- filled with tales of rock and roll excess (and a gross story of young love). The Current's Rock and Roll Book Club: Phil Collen, 'Adrenalized: Life, Def Leppard and Beyond' In his new autobiography, Def Leppard guitarist Phil Collen shares a series of revelations that shaped him not only as an artist and musician, but as a human being.